1)www.naukri.com - Naukri y ek bhut hi famous & India ka no.1 job website hai jaha hum apne liye har tarah k job search kar skte hai. Naukri ka app bhi hai jise download kar k aap ka kam or easy ho jata hai. 2)www.monsterindia.com - Monster India second aisi site h jo bhut Jada use ki jati hai India m & y site naukri ko competition bhi de rhi hai is mamle m.Y website hume hamare job opportunities ko explore/ badhane m help krti hai. 3)www.indeed.com - Yha p aap apne aas paas ki local place p job search kr skte hai (India m).Y bahut famous job search engine hai jo 26 languages m hai.y website companies ka no.1 external hiring ka source hai. 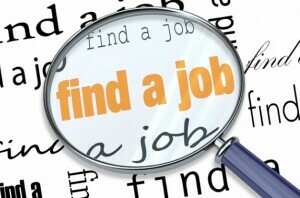 4)www.TimesJobs.com - Y ek naya or alag online recruitment portal hai (India ka),jiska aim hai sabhi bhartiya ko jada se Jada job opportunities di jaye India m & out of India m bhi. 5)www.shine.com - Y bhi ek innovative & teji s badhta hua job portal hai jo recruiters ko acchi quality k Candidate dilane m help krta hai,jiski vajah se candidate ko uska favourite department ya profile m job mil jati hai. 6)www.careerjet.co.in - Is website p aap latest jobs & vacancies search kar skte ho.Yha p aap high salary jobs k liye search kr skte ho. 7)www.freshersworld.com - Jaise ki is web portal ka naam h "Freshersworld" to y India ka no.1 job portal hai fresher's k liye.Y ek bahut hi accha platform h fresher's k liye jo job find kr rhe hai. 8)www.VFreshers.com - Y site bhi puri tarah se fresher's k liye banai gai hai,y un logo k liye hai jo apna career start kar rhe hai.Is site ka ek hi aim hai or wo hai har fresher/Graduate ko naukri mile. 9)www.sarkarinaukriblog.com - Is website p aap government jobs ki nayi job vacancies search kar skte hai. 10)www.indgovtjobs.in - Y website ek Indian website hai,yha p aap latest government jobs find kar skte ho( sirf Indian's k liye).Is website p aap aalag aalag categories m apne liye government naukri dhundh sakte hai,jo hume jaldi job find karne m help karti hai, like jobs in Army,Indian Railways etc. "www.LinkedIn.com" p vi apni profile bana k or updated rakhe kyu ki y world ki ek bhut badi & famous website hai jo apko all over world job search krne m help karti hai.Isme aap bahut acchi & badi job opportunities search kar skte ho. Good to know about such updates related to the latest govt jobs. We rely on your site for the information on Govt. Jobs.